Mary Lisa Pories, PhD, LCSW, is from the Colleges of Education and Health and Human Performance, East Carolina University, Greenville, North Carolina. Mary Ann Rose, MSN, EdD, is Professor of Nursing, East Carolina University, Greenville, North Carolina. In this article, the authors examine the stigma of obesity from the patient perspective and suggest strategies for stigma-reduction. The authors report the results of qualitative interviews conducted among 10 patients with obesity and their significant others, which revealed indignities and stressful situations experienced as a result of their obesity. Patient experiences were reported in the following themes: devaluation of self, embarrassment in social situations, embarrassment about appearance, repeated failure of weight loss diets, frustration arising from limitations. Patient accounts reflect the indignity and suffering of obesity and should thus help mitigate the negative attitudes toward individuals with obesity. The authors review the litrature on obesity stigma in the healthcare setting and offer strategies for overcoming negative attitudes in both an interpersonal and system-wide basis. The literature is replete with reports of “weight bias” or the “stigma of obesity,” terms used to describe the negative weight-related attitudes and beliefs that are manifested by stereotypes, rejection and prejudice towards individuals because they have overweight or obesity. Individuals with obesity are often negatively perceived as weak-willed, lazy, unmotivated, unsuccessful and/or unintelligent people who have poor will-power, lack self-discipline, and are nonadherent to weight loss treatment. Research suggests that the prevalence of weight bias has increased, rather than decreased in recent years. Weight bias has been documented in all settings, such as places of employment or within the family. Most recently Puhl, et al reported data from 461 patients with obesity of whom 91.5 percent reported experiencing weight stigma. Healthcare professionals have exhibited weight bias against their patients with obesity as well. For example, Hebl and Xu found that physicians prescribed more tests for, spent less time with, and viewed patients with obesity more negatively than patients without obesity. Bertakis and Azari found that obesity and the length of appointment were not significantly associated; however, whether the patient had obesity did influence the content of the visit. Foster et al, studying 620 physicians, reported that “more than 50 percent of physicians viewed patients with obesity as awkward, unattractive, ugly, and noncompliant.” Schwarz et al found that what they called the “anti-fat bias” was significant, even among these healthcare professionals who worked with patients with obesity or researched obesity. Ogden et al, noted that general practitioners blamed a patient’s obesity on the patient and felt that the patient held the solution to losing weight. They noted that healthcare professionals may fall victim to a common societal assumption—the idea that individuals with obesity are the “architects of their own ill health” and are personally responsible and to blame for their weight. While previous studies have demonstrated bias against individuals with obesity, the focus has generally been on the existence, source, and manifestation of bias, rather than what the patient experiences as a result of having obesity. Understanding the experience from the patient’s perspective might aid in decreasing negative attitudes. Hearing the accounts of patients with obesity may help dispel the bias held by both the general public and healthcare providers. In this article, we recount patient perspectives regarding the pain, indignity, and actual suffering related to obesity, which, in many cases, led to seeking relief through surgery. In a qualitative study reported in 2016, we conducted interviews with patients with obesity and their spouses who had undergone bariatric surgery within the past year. The study was designed to elicit their perceptions of how the surgery had affected their couple relationship. During the interviews, the participants revealed interesting and sometimes heartbreaking experiences related to their own psychological or physical pain and suffering attendant upon the obesity. Their comments were reported in the following themes: devaluation of self, embarrassment in social situations, embarrassment about appearance, repeated failure of weight loss diets, frustration arising from limitations. Devaluation of self. One couple, both of whom had obesity, reported that when agreeing to marry their first (previous) spouse, they “settled” (i.e., they were not in love, but felt that because of their appearance, they would be unable to attract anyone more desirable as a mate). Thus, they “settled” for the person who was available to them. These marriages both ended in divorce. Embarrassment about appearance. This same participant also reported that he was embarrassed by having to go to the section of the department store reserved for “big men” because he found very little selection in larger sizes. Frustration arising from limitations. Being unable to do what a person sets out to do is frustrating. One participant was quite disabled because of the co-morbidities associated with his obesity. He was unable to stand for even a short period of time, and this meant that he could not do the things that men normally do in a couple relationship, such as help his spouse do home repair projects. This caused him distress and he jokingly referred to his spouse as “having to do everything.” She tried to soothe him by saying that they were doing it together and he was “supervising”. These accounts in the participants’ own voices stand as a sharp reminder that individuals with obesity suffer as a result of the disease. Obesity exposes patients to the risk of embarrassment, frustration, and hopelessness. It is real and poignant, and these indignities are not easily ameliorated, especially as many of them are bolstered by opinions and comments of individuals close to the patients, such as family members, and thus are even more painful. The literature contains several reports of attempts to change negative stereotypes and these stigma reduction strategies have yielded varying results. Ciao and Latner tested two approaches to reducing stigma. O’Brien et al did focus in particular on changing negative attitudes of health care providers. Burmeister et al tested a film intervention. To date, no intervention has emerged as overwhelmingly successful. Rebecca Puhl, Director of Research & Weight Stigma Initiatives at the Rudd Center for Food Policy & Obesity at Yale University, New Haven, Connecticut, has relayed stigma-reduction strategies, including challenging personal assumptions and stereotypes, and using appropriate and sensitive language about weight. We propose an approach that involves examining our own beliefs, reframing our own view of the patient, and confronting biases on both an interpersonal and system-wide basis. This approach also involves engaging in sympathetic dialogue with patients with obesity concerning the benefits of bariatric surgery, recognizing that, for some, it is a “last resort” in losing weight and alleviating comorbidities. Step 2—Reframe our view of patients with obesity. Reframing our perceptions of the patient with obesity or changing our thinking to see the patient in a more sympathetic light, can be helpful. Perhaps the patient appears unattractive, at least to some extent, because he or she has “given up” trying to look good as suggested by one respondent in our study. If a patient moves slowly, perhaps it is not out of laziness but rather because of a lack of energy, persistent fatigue, and knee pain. Reframing also helps providers listen more attentively. For those who deal with obesity on a daily basis, it is understandable to see every problem in terms of the patient’s obesity, and thus become inattentive to other concerns. Whether the concern relates to obesity or some other problem, reframing our own perception promotes a more holistic and sympathetic view of the patient. Step 3—Confront biases. We can also attempt to confront the biases of others. We would not tolerate comments made about patients that are racially or gender-biased. Yet, the negative attitudes toward patients with obesity can result in such comments from healthcare providers. The same respect and courtesy should be extended to patients with obesity and, should one encounter such comments about patients with obesity from colleagues, these should be gently confronted. On system level, we can work to overcome societal biases toward individuals with obesity. The Obesity Action Coalition (OAC) has a long record of challenging such biases in the greater society, and its advocacy work should be recognized and supported. Advocacy can come from other sources as well. For example, perhaps in the future we will see the discipline-specific professional organizations, such as the American Medical Society, American Nurses Association, the National Association of Social Workers, partner with OAC to provide education and training to combat these biases. Step 4—Engage in sympathetic dialogue with patients with obesity concerning the benefits of bariatric surgery. We can engage in respectful dialogue with patients with obesity, recognizing their plight, hearing their concerns. We can record their ailments and inform them that treatments, such as pharmacotherapy, devices (e.g., intragastric balloon systems), and surgical procedures exist for weight loss and comorbity improvement. We can recognize that, for some patients, weight loss surgery is an important option, one that perhaps represents a “last resort.” Their courage to undergo surgery in the face of repeated failures of other methods should generate respect rather than ridicule. 1. Puhl RM, Moss-Racusin CA, Schwartz MB, Brownell KD. Weight stigmatization and bias reduction: Perspectives of overweight and obese adults. Health Educ Res. 2008;23:347–358. 2. Puhl RM, Heuer CA. Obesity stigma: Important considerations for public health. Am J Public Health. 2010;100:1019–1028. 3. Andreyeva T, Puhl RM, Brownell KD. Changes in perceived weight discrimination among Americans, 1995–1996 through 2004–2006. Obesity. 2008;16:1129–1134. 4. Puhl RM, Brownell KD. Bias, discrimination, and obesity. Obesity. 2001;9:788–805. 5. Puhl RM, Himmelstein MS, Gorins AA, Suh YJ. Missing the target: including perspectives of women with overweight and obesity to inform stigma-reduction strategies. Obesity Science & Practice. 2017. Jan 1. 6. Hebl MR, Xu J. Weighing the care: Physicians’ reactions to the size of a patient. Int J Obesity. 2001;25:1246–1252. 7. Bertakis KD, Azari R. The impact of obesity on primary care visits. Obes Res. 2005;13:1615–1623. 8. Foster GD, Wadden TA, Makris AP, et al. Primary care physicians’ attitudes about obesity and its treatment. Obes Res. 2003;11:1168-1177. 9. Schwartz MB, Chambliss HO, Brownell KD, et al. Weight bias among health professionals specializing in obesity. Obes Res. 2003;11:1033–1039. 10. Ogden J, Bandara I, Cohen H, et al. General practitioners’ and patients’ models of obesity: whose problem is it? 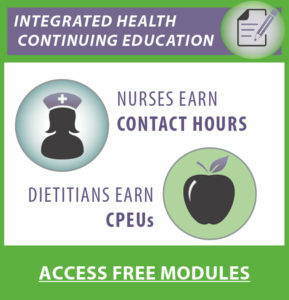 Patient Educ Couns. 2001;44:227–233. 11. Pories ML, Hodgson J, Rose, MA, et al. Following bariatric surgery: An exploration of the couples’ experience. Obes Surg. 2016; 26:54–60. 12. Ciao AC, Latner JD. Reducing obesity stigma: The effectiveness of cognitive dissonance and social consensus interventions. Obesity. 2011;19:1768–1774. 13. North American Association for the Study of Obesity and the National Heart, Lung, and Blood Institute. The Practical Guide: Identification, Evaluation, and Treatment of Overweight and Obesity in Adults. Bethesda, Maryland: National Institutes of Health; 2000. 14. O’Brien KS, Puhl RM, Latner JD, Mir AS, Hunter JA. Reducing anti-fat prejudice in preservice health students: A randomized trial. Obesity. 2010;18: 2138–2144. 15. Burmeister JM, Taylor MB, Rossi J, Kiefner-Burmeister A, et al. Reducing obesity stigma via a brief documentary film: a randomized trial. Stigma and Health. 2017;2(1)43–52. 16. Puhl R.– Taking a look at weight bias and the stigma of obesity. Bariatric Times. September 2009. http://bariatrictimes.com/five-minutes-with-rebecca-puhl-phd%e2%80%94taking-a-look-at-weight-bias-and-the-stigma-of-obesity/ Accessed March 30, 2017. 17. Dhurandhar NV. Obesity stigma: A persistent problem, a possible solution. Int J Obesity. 2013;37:1413–1414. DISCLOSURES: The authors report no conflicts of interest relevant to the content of this manuscript.